The Himalayan kingdom of Nepal offer numerous trekking trails for Nepal Himalaya trekking. Among them some Nepal trekking zone required special trekking permit and limited trekkers can visit in year for protect nature beauty , landscape . Nepal restricted trekking trails / area need special trekking permit which trekkers / travelers can obtain through Governments registered trekking agency of Nepal . Nepal trekking trails such as Mustang trekking, Upper Mustang & Lo manthang trekking , Lower Dolpo trekking, Upper Dolpo trekking, Kanchenjunga trekking , Manaslu trekking, Makalu trekking and Nar phu valley trekking necessary trekking permit through the Legal trekking agency of Nepal. Himalaya Journey Trekking & Expedition arrange the restricted trekking in Nepal Himalaya frequently and huge numbers of trekkers visited the restricted / remote area trekking of Nepal. Only Government registered trekking agency will not enough to issue the restricted trekking permit but Nepal trekking company required to show the tax clearance paper to the Nepal immigration office for issue the Nepal restricted trekking permit. HJT not only focus for Nepal popular trekking trails such as Annapurna region trekking, Everest region trekking , Langtang region trekking but encourage to make trekking for unique experience and wilderness trekking in restricted and remote trekking areas of Nepal. 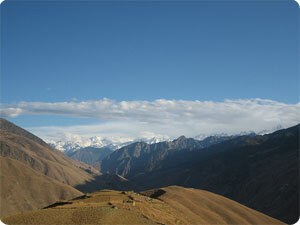 Normally most of the Nepal restricted and remote area trekking trail can be operate only camping / tented trekking . Himalaya Journey trekking professional will operate Nepal restricted and wilderness trekking tour as trekkers holiday schedule and desire with unforgettable experience !